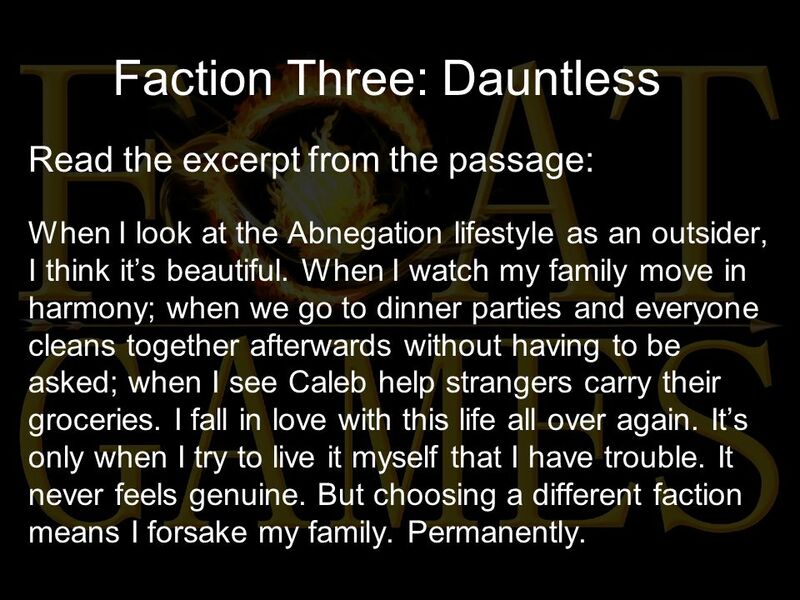 3 Faction Three: Dauntless Read the excerpt from the passage: When I look at the Abnegation lifestyle as an outsider, I think it’s beautiful. When I watch my family move in harmony; when we go to dinner parties and everyone cleans together afterwards without having to be asked; when I see Caleb help strangers carry their groceries. I fall in love with this life all over again. It’s only when I try to live it myself that I have trouble. It never feels genuine. But choosing a different faction means I forsake my family. Permanently. 4 Faction Three: Dauntless Which phrase best describes the main character’s conflict in this passage? 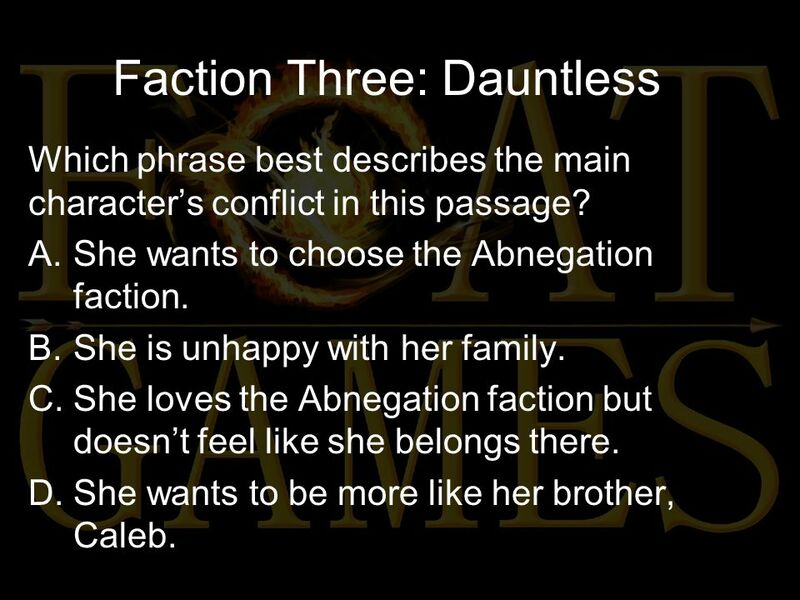 A.She wants to choose the Abnegation faction. B.She is unhappy with her family. C.She loves the Abnegation faction but doesn’t feel like she belongs there. D.She wants to be more like her brother, Caleb. 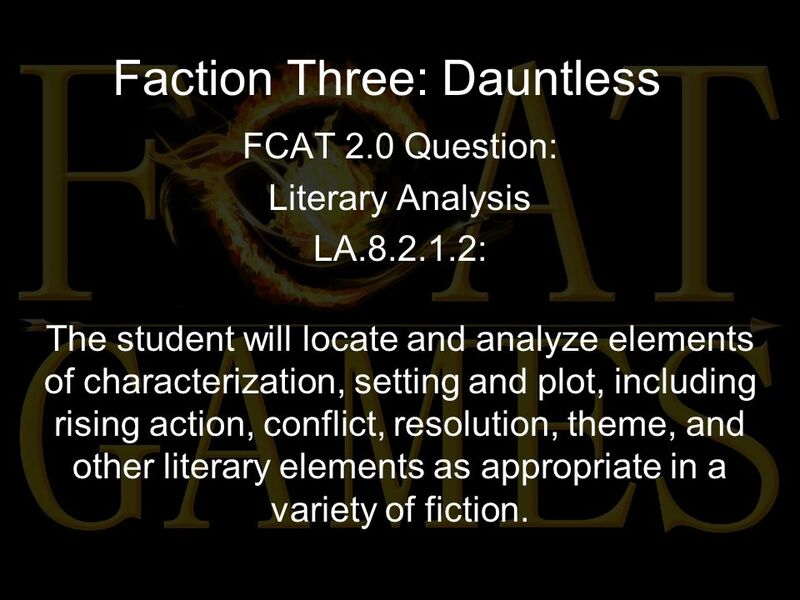 Download ppt "Faction Three: Dauntless Read the excerpt from the passage: When I look at the Abnegation lifestyle as an outsider, I think it’s beautiful. When I watch." 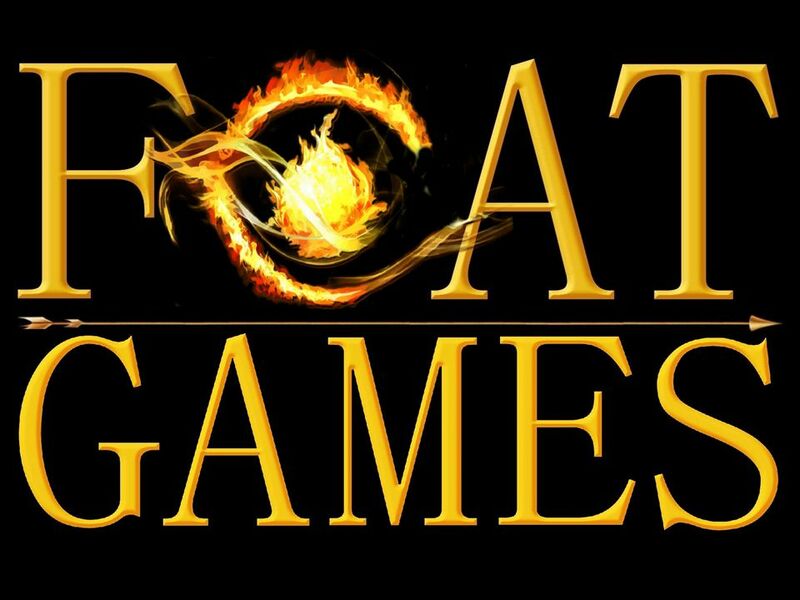 Faction One: Abnegation Read the excerpt from the passage: There is one mirror in my house. It is behind a sliding panel in the hallway upstairs. Our. AIM: How can we examine the theme of loneliness? DO NOW: How has the idea of loneliness played a role in this novel? Homework: Finish editing the TDEC. Faction Two: Candor Read the excerpt from the passage: My stomach wrenches. I close my eyes and keep them closed until ten minutes later, when Caleb. Faction Four: Erudite Read the excerpt from the passage: When I look at the Abnegation lifestyle as an outsider, I think it’s beautiful. When I watch. Warm-up Think about a time when you had to learn a painful truth. How old were you? What was the “truth” you learned, and how did you find out that truth? Plot and Conflict. Plot Structure Plot is the literary element that describes the structure of a story. It shows a casual arrangement of events and actions. Divergent By Veronica Roth. Divergent is about a girl named Beatrice who lives in the Abnegation compound. She’s not happy being a ‘stiff’, so on her. RL6.5 Notes RL Analyze how a particular sentence, chapter, scene, or stanza fits into the overall structure of a text and contributes to the development. STUDY ISLAND 8.3 ELA PATHWAY TOPICS. Today’s objectives Review elements of plot & theme Analyze characters Identify settings R8.B a Character (may.